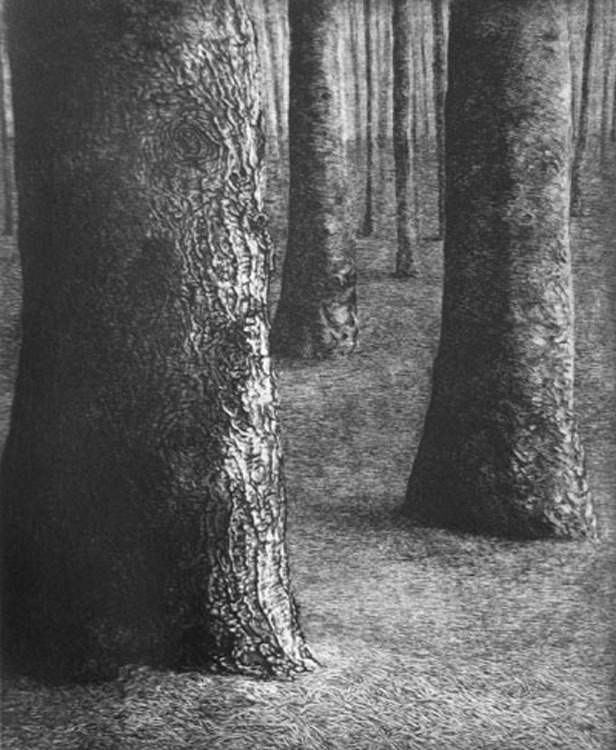 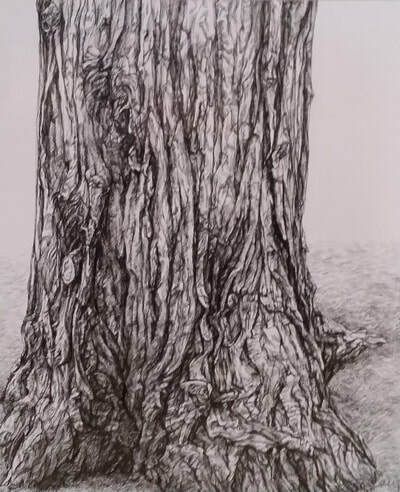 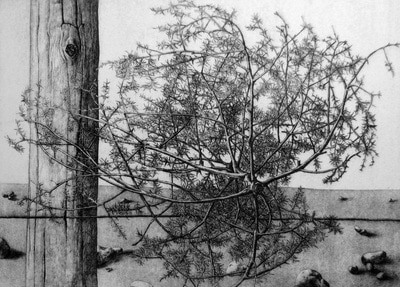 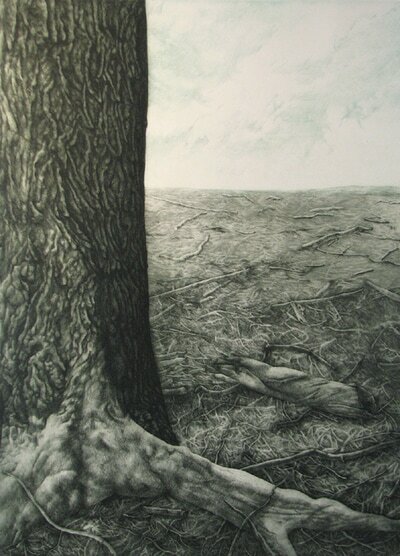 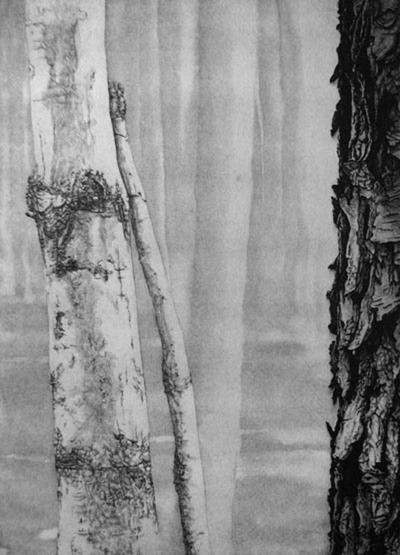 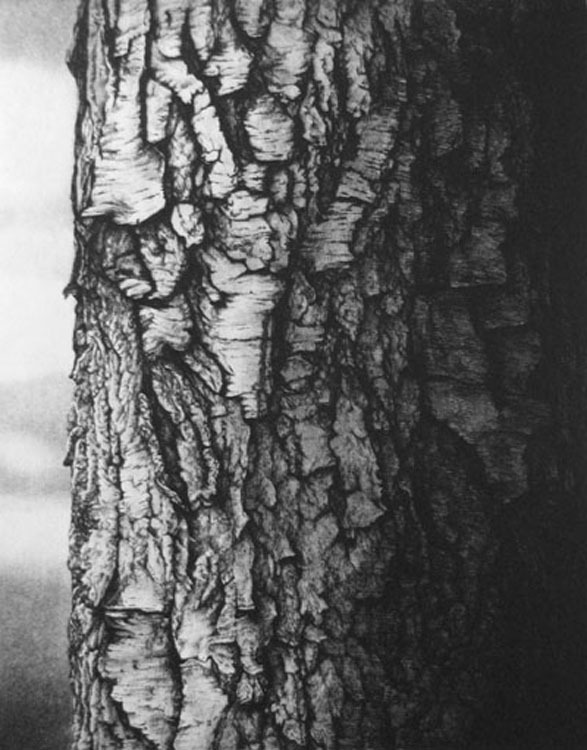 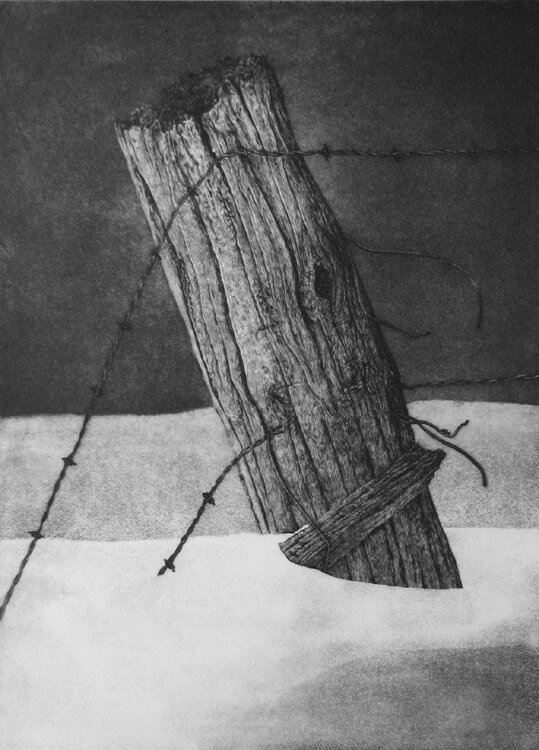 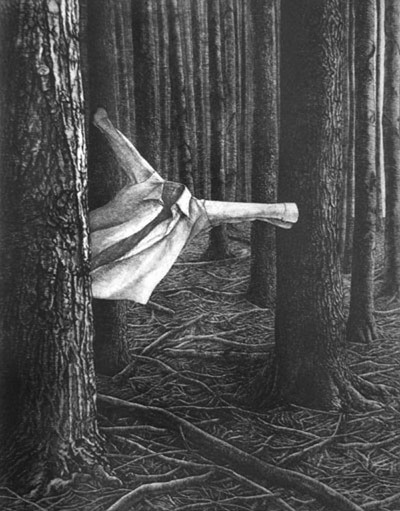 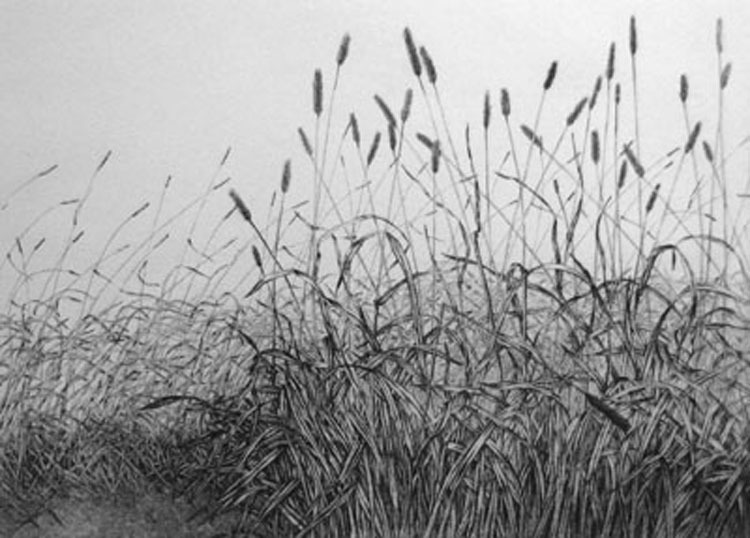 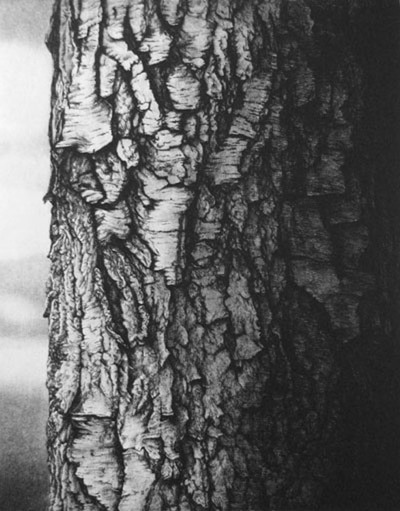 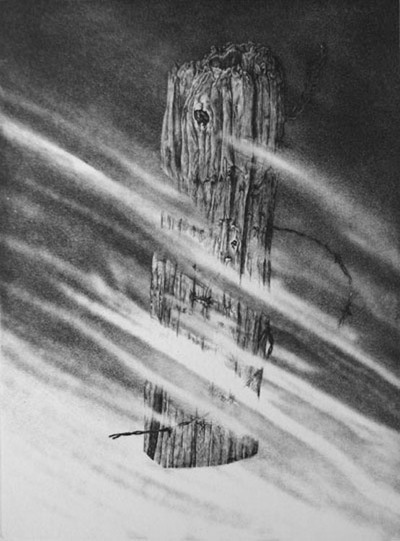 Jo Manning is one of Canada’s foremost etchers. 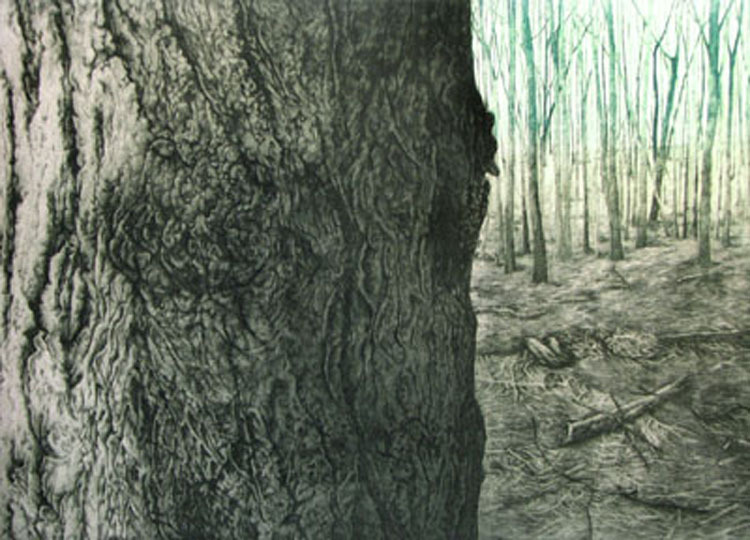 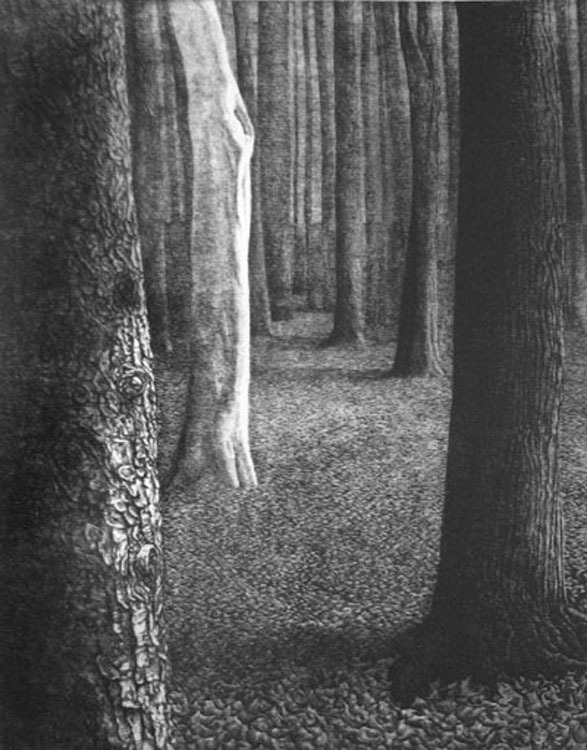 Her printmaking career spanned the years 1960 to 1980. 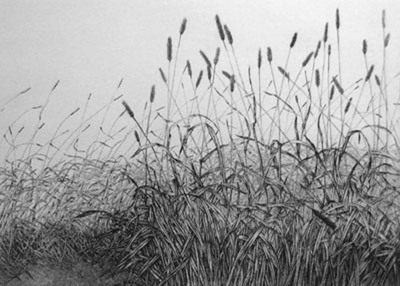 During this time she was an executive member of the Canadian Society of Graphic Art, a member of the Canadian Society of Painter-etchers and Engravers, and a founding member of the Print and Drawing Council of Canada. 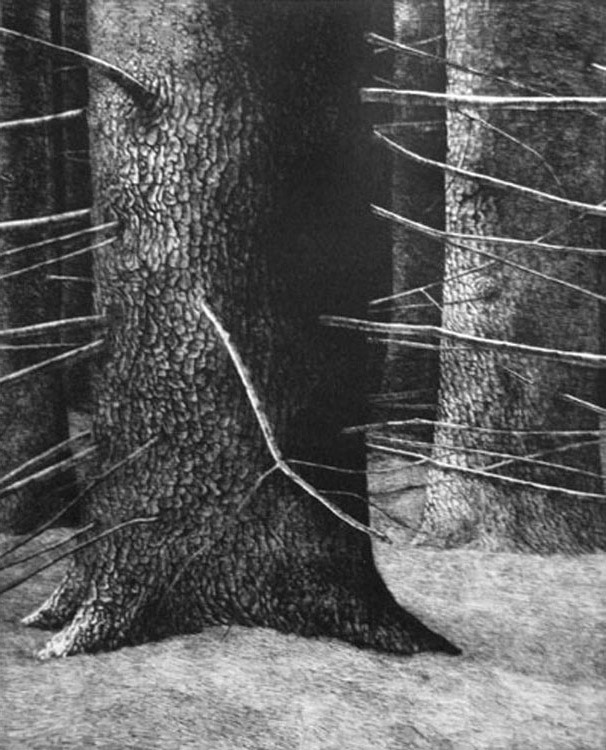 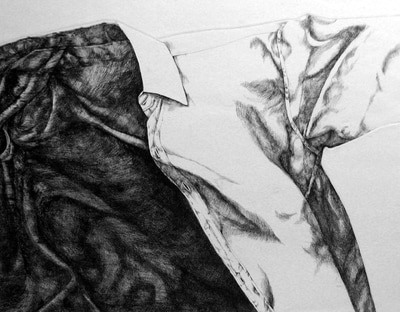 She has won many important awards for her etchings in Canada and abroad. 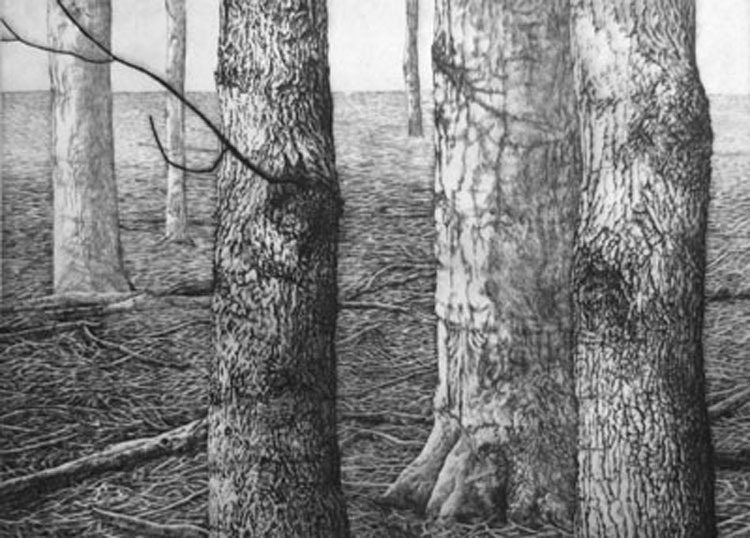 In 1980 she became ill from exposure to acids, solvents and photoresists while teaching, and turned to drawing in ink, and painting in oil and watercolour. 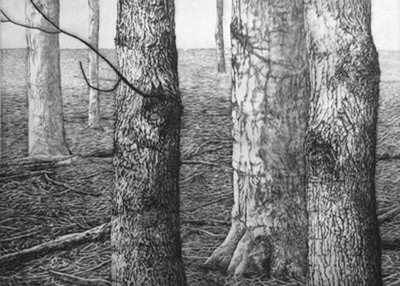 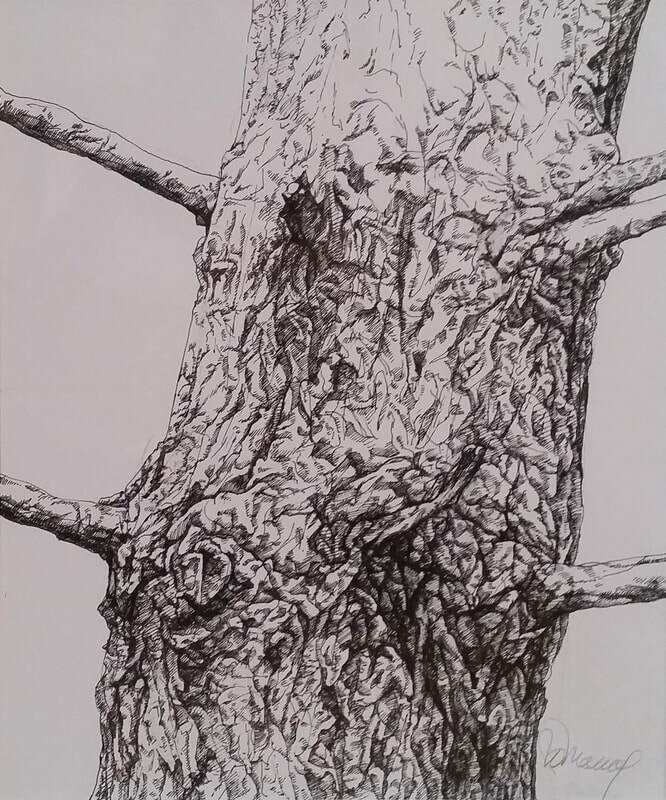 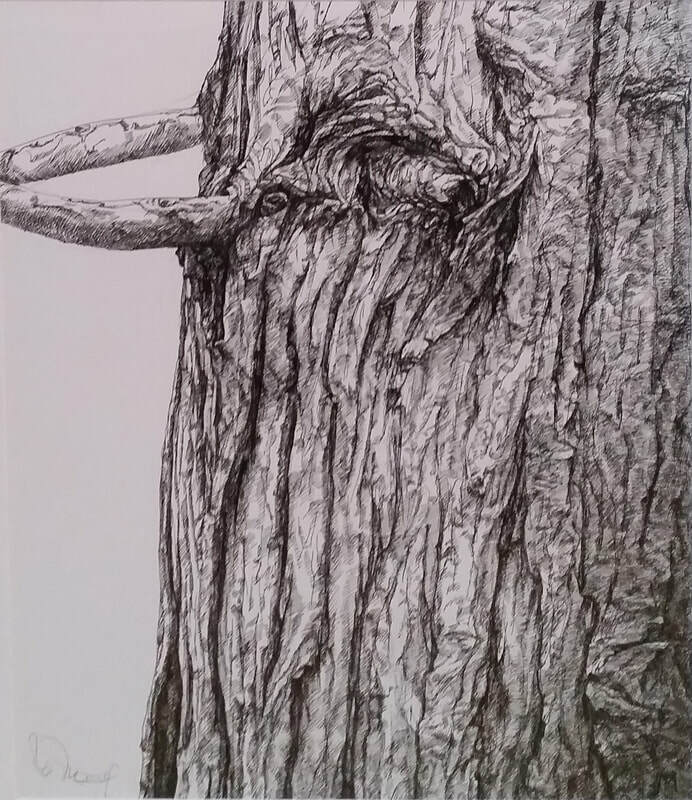 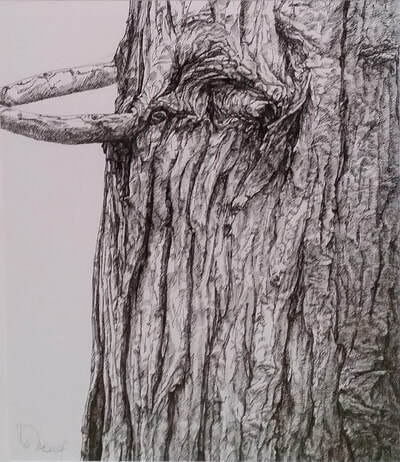 Since childhood her interests have been the forests and meadows where she has spent many solitary hours, drawing and photographing, collecting material to take back to the studio. 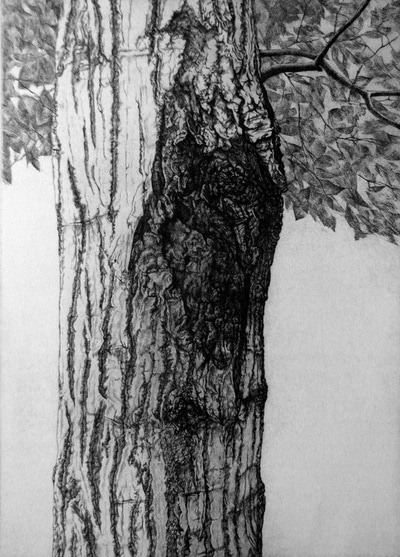 The etchings and paintings that result are strongly constructed, with fine detail, and are presented as allegories.